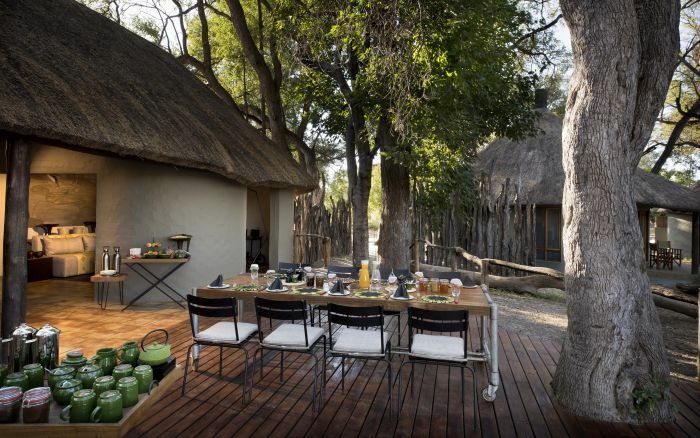 Set on the banks of the Khwai River, nestled under the shade of sycamore and leadwood trees is this intimate camp, perfect for small groups and families. 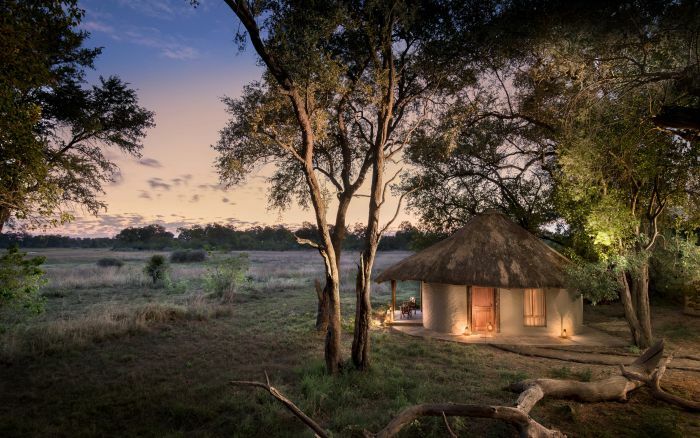 The newly rebuilt (2018) Khwai Bush Camp is set on the banks of the Khwai River in the Khwai Community Area. This part of the Okavango Delta lies just to the east of the Moremi Game Reserve and is known for excellent wildlife sightings. 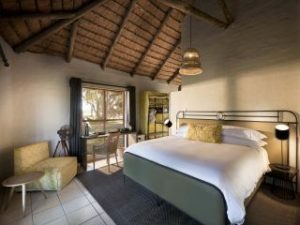 The chalets are built under the shade of well-established sycamore and leadwood trees, with views over the water and beyond to the Moremi Game Reserve. 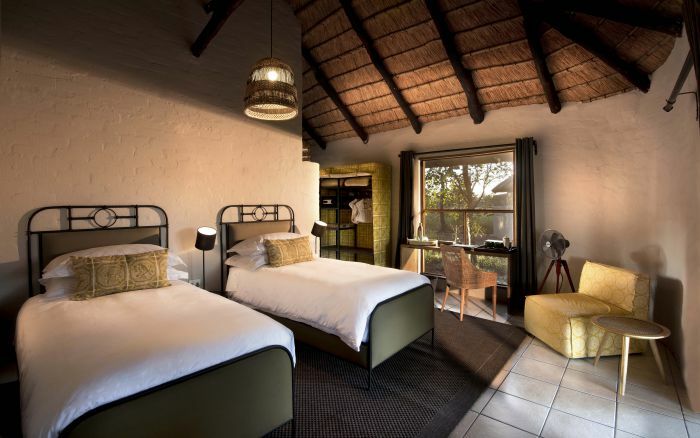 The accommodation consists of 2 family chalets and 4 standard chalets. 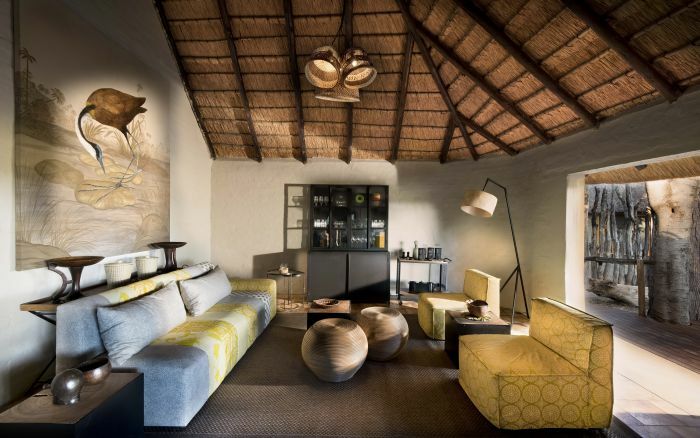 The thatch chalets are spacious with high ceilings and have a contemporary and uncluttered feel to them. The bed is the main feature and there is also comfy seating, a desk and a floor fan to keep things cool. 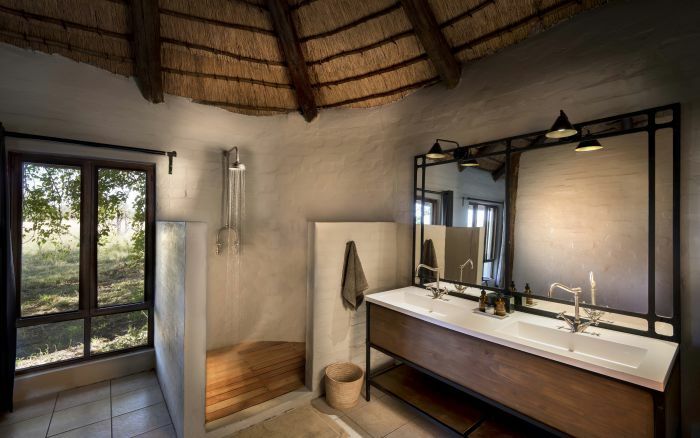 The en-suite bathroom has an indoor shower, basin and flush loo. 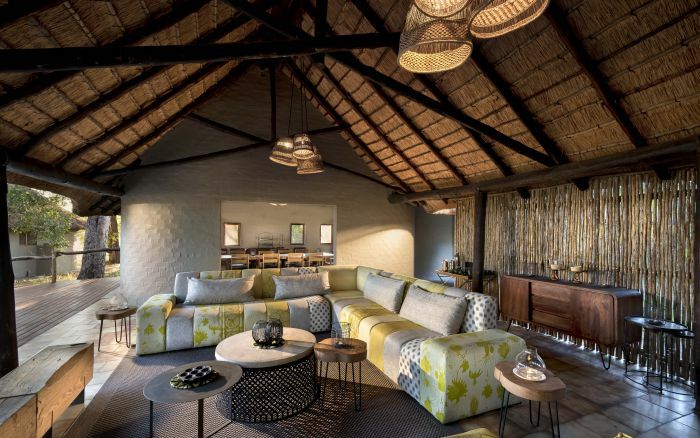 Over in the main area, which is also sheltered under a large, high thatch roof you’ll find the comfy lounge, open to the front to maximise on the views. On one side of the lounge you have the bar area and on the other the dining room, where meals are enjoyed around a large table. To the front is the large deck, which also lends itself perfectly to outdoor dining under the sun or the stars. Pre and post dinner drinks can be enjoyed on the fire deck which is accessed via a raised wooden walkway. It’s the perfect way to end a day in paradise. 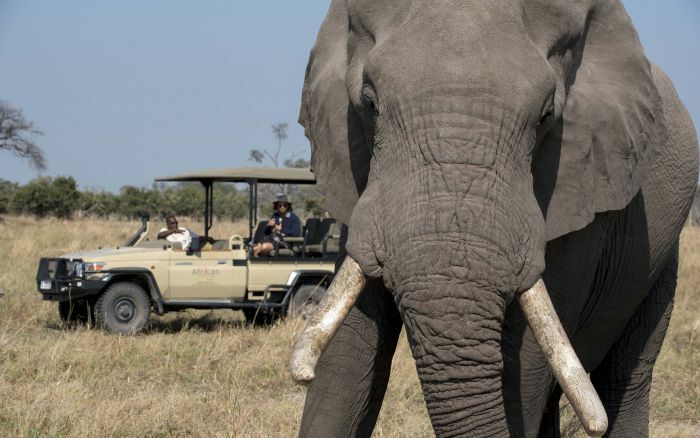 Game drives and seasonal mokoro excursions offer excellent wildlife viewing opportunities. 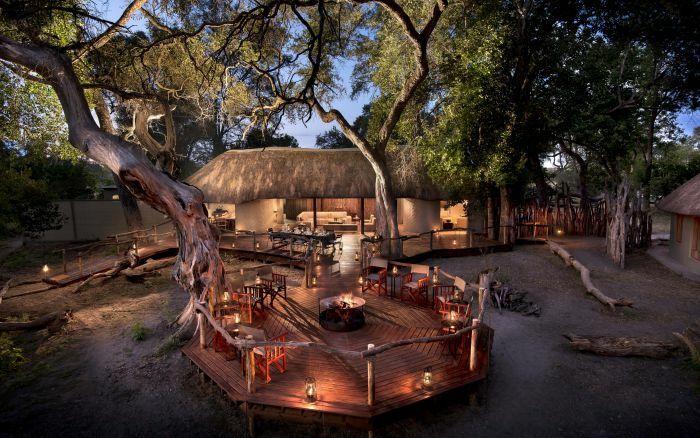 As the camp is outside of the Moremi Game Reserve, you’ll be able to venture out on foot with your guide for a more intense nature experience and take night drives for a glimpse of nocturnal species that you would otherwise miss. Children of all ages are welcome, but there is a minimum age for walking safaris and mokoro excursions. The 2 family chalets and 4 standard chalets linked to the main area by paved walkways.